CEOGC’s Workforce Development team is partnering with Bon Appetit to put on a one-day hiring event on Thursday, Feb 1 at our Central Neighborhood Opportunity Center at 1801 Superior Ave. in Cleveland. 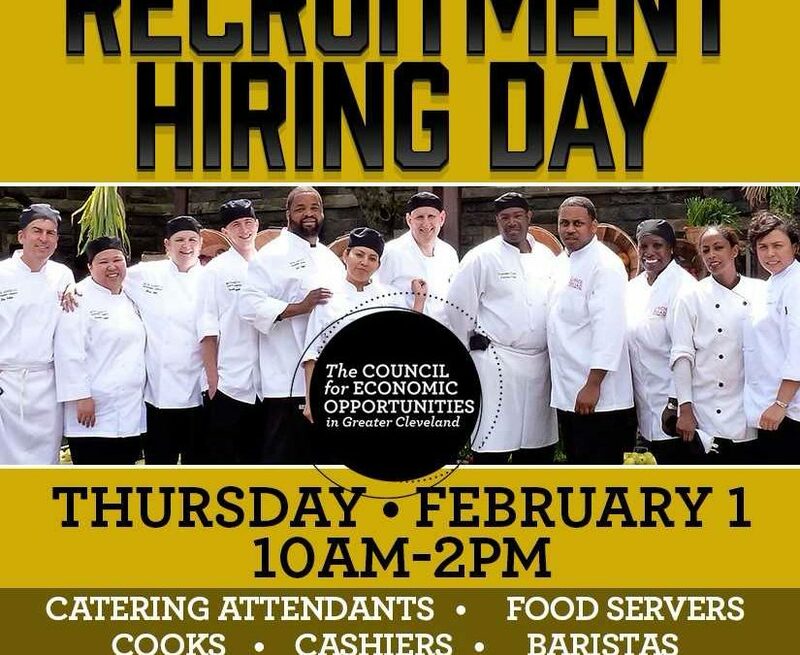 Representatives from Bon Appetit will be on hand to interview job seekers on the spot. The company is looking to hire catering attendants, food servers, cooks, cashiers and baristas. The event will take place from 10 a.m. until 2 p.m. Bring your resume and dress professionally! If you have any questions, please call (216) 651-5188.